I should have written on this very topic years ago, so better late than never. 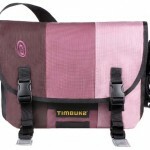 I love the Timbuk2 in blackberry, plum, and lavender (can you tell I love purple?) and wish they didn’t discontinue these pretty colors. Too bad at the time I didn’t realize how much I liked this trio; I would have bought the laptop messenger version in a heartbeat. 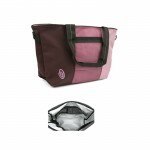 I also wish all their bags had interior mesh pockets on the sides (perfect to hold a large water bottle or eyeglasses/sunglasses). I will have to make do with altering a beerdaleer for this task. Please bring BPL back Timbuk2! I would love you more!